Summer is off to a great start here. This weekend I got in a little time away from the homestead for some family time. Luckily we got most of our homesteading duties done during the week and now just have a bit of weeding to catch up on! 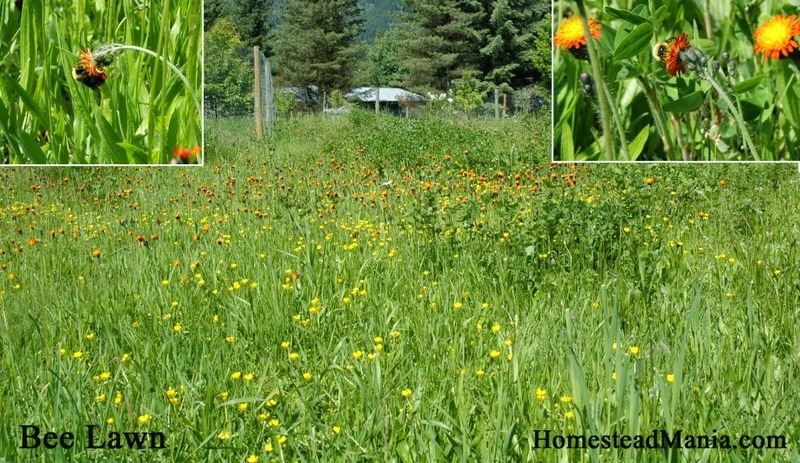 This week's feature is something that is near and dear to me, creating a bee friendly yard, head over to Homestead Mania and check it out! Woot! Thanks for featuring The Bee Lawn. I love my fuzzy little bee buddies. I'm learning about bee folklore, like when someone dies you are supposed to tell the bees. Or if you are changing or moving their home you have to tell them. They're sensitive little fellas.